These recipes though called beans recipes include all recipes prepared with food ingredients in the legume family of foods. Black-Eyed or Brown beans are rich in high quality protein which provides a healthy alternative to meat and other animal protein. They are also rich in soluble fiber which helps lower blood cholesterol. 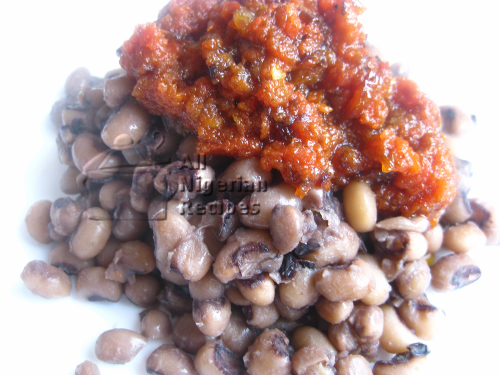 This makes beans a must-have staple in Nigerian dishes. Still, beans is not a very popular food item because it is associated with flatulence and indigestion. The following are beans recipes that implement some cooking methods that will help eliminate the discomfort associated with beans to ensure that this staple stays in your family menu. 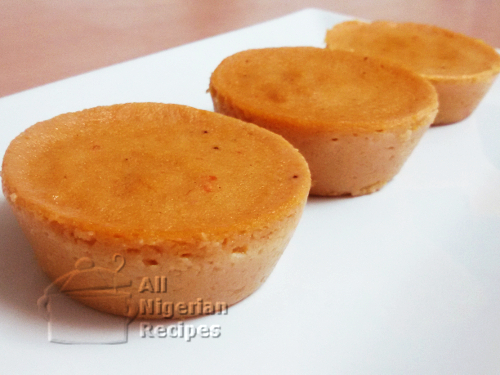 See how I get cute cup-sized Nigerian Moi Moi that kids and your guests would love. 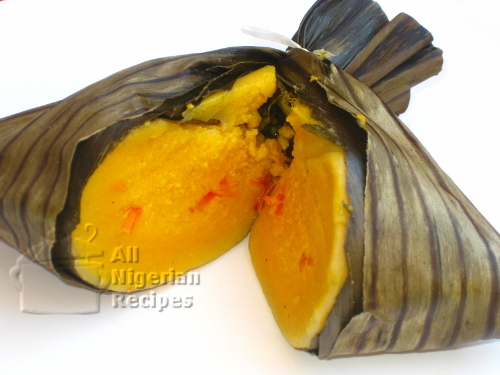 This Yoruba delicacy is another version of Nigerian Moi Moi that is suitable for vegetarians. 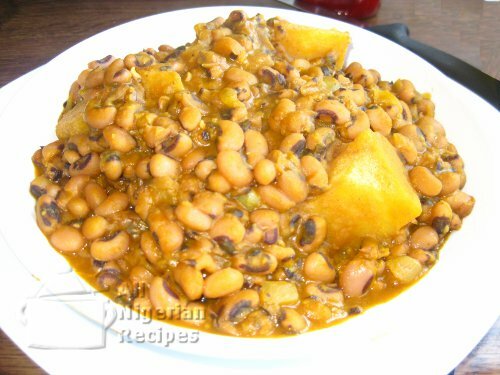 This beans recipe is perfect for babies and those who crave Breadfruit Porridge but can’t buy breadfruit where they live. 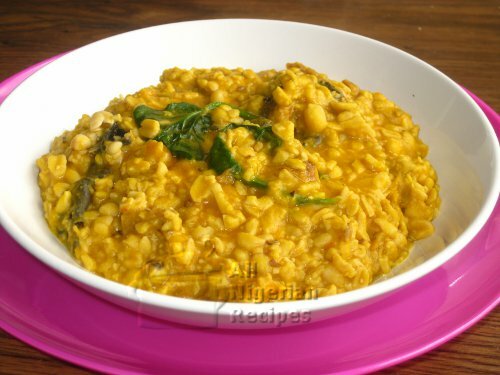 Lentil is a super food that diabetics can enjoy. 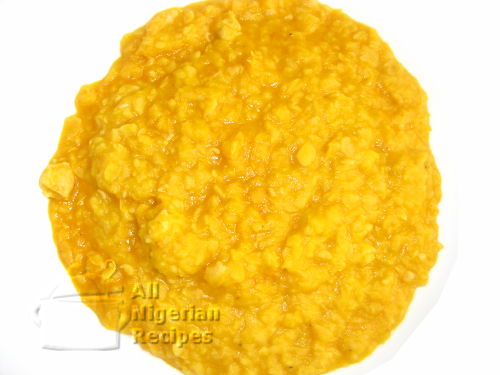 See how to cook lentils for Nigerian taste buds. 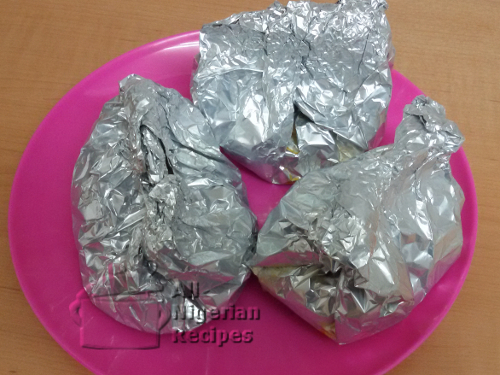 Another way to wrap Nigerian Moi Moi. For those who are challenged by other methods of wrapping Moi Moi. 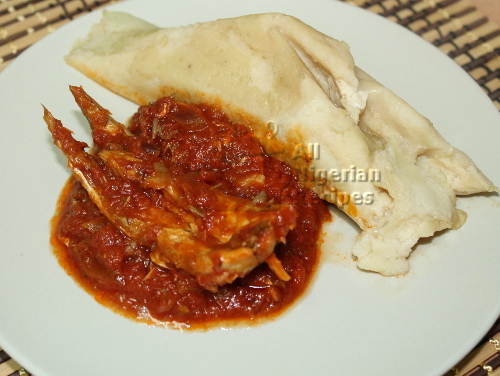 Dan Wake (Beans Dumplings) is a Northern Nigerian recipe. See how to get tasty results with this traditional meal. 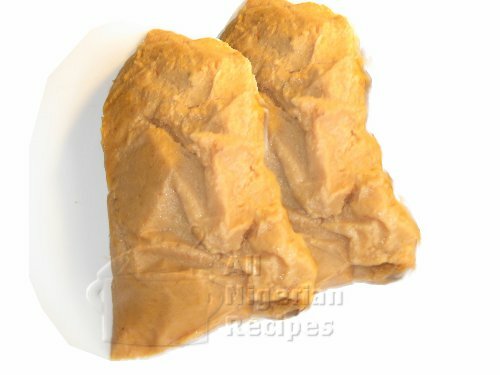 Yes, you can use chickpea, garbanzo beans or simply garbanzo in Spanish to make Nigerian Moi Moi! It is not only rice that we fry ;D, we fry beans too. 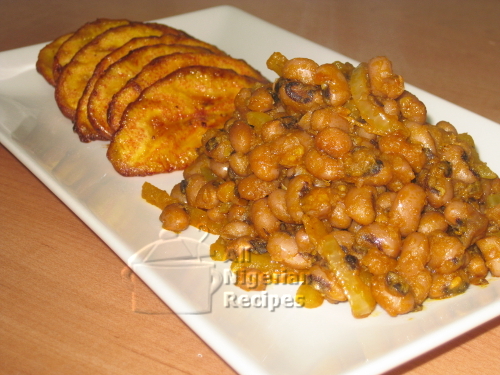 Check out the Nigerian Fried Beans recipe, another great way to enjoy beans. 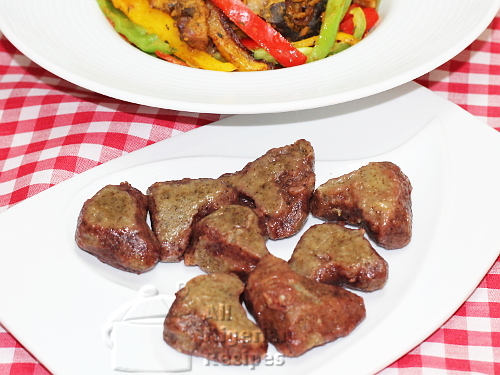 Ukwa, Breadfruit or Treculia africana is in a food class of its own and very delicious! 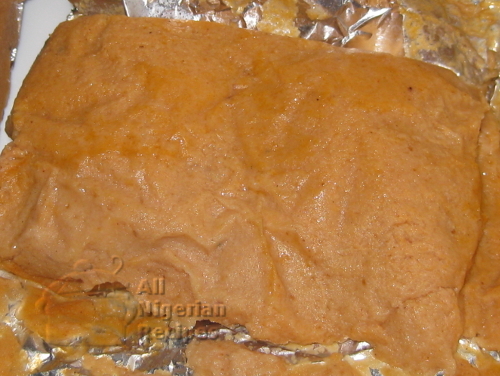 Cooking Nigerian Moi Moi with beans flour can be challenging. Here's how to prepare it. 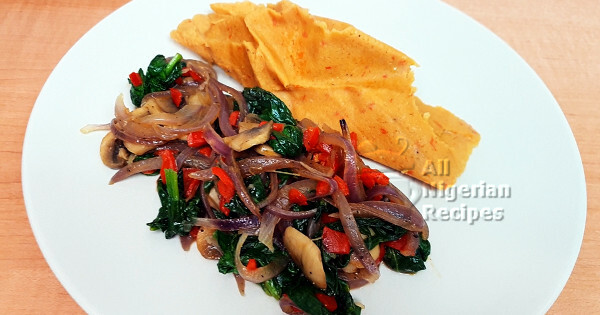 Okpa has a natural delicious flavour, you'll be asking for trouble if you add unnecessary ingredients to it. This recipe, rich in nutrients, should never be left out of family menus. 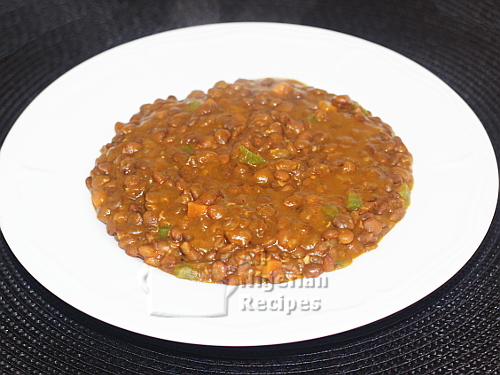 This is a popular beans recipe even for those who do not like beans for several reasons. It is so loved that you will always see it at parties and special dinners.